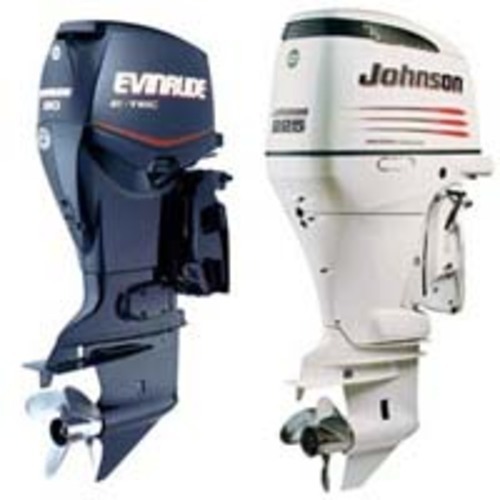 This is a complete service repair manual for JOHNSON EVINRUDE 60 HP OUTBOARD 1971-1989. Service and repair your motor with a Johnson Evinrude manual. Our Johnson Evinrude manuals will guide you step by step from the easiest to the most difficult tasks on your marine engine. Each book contains hundreds of photos with instructions on exactly how to maintain your motor. Maintenance and troubleshooting are covered in each manual as well as wiring diagrams. Chapters typically cover sections such as: Cooling System, Engine Specifications, Drive Shaft, Fuel System, Ignition, Electrical Systems, Gear Case, Storage/Winterize, Timing, Trim, Tilt, Torque Specifications and Tune-Up. DOWNLOAD NOW JOHNSON EVINRUDE 60 HP OUTBOARD 1971-1989 SERVICE MANUAL! Tags: JOHNSON EVINRUDE 60 HP OUTBOARD 1971 1972 1973 1974 1975 1976 1977 1978 1979 1980 1981 1982 1983 1984 1985 1986 1987 1988 1989 SAFETY, JOHNSON EVINRUDE 60 HP OUTBOARD 1971 1972 1973 1974 1975 1976 1977 1978 1979 1980 1981 1982 1983 1984 1985 1986 1987 1988 1989 TUNING, JOHNSON EVINRUDE 60 HP OUTBOARD 1971 1972 1973 1974 1975 1976 1977 1978 1979 1980 1981 1982 1983 1984 1985 1986 1987 1988 1989 MAINTENANCE, JOHNSON EVINRUDE 60 HP OUTBOARD 1971 1972 1973 1974 1975 1976 1977 1978 1979 1980 1981 1982 1983 1984 1985 1986 1987 1988 1989 FUEL, JOHNSON EVINRUDE 60 HP OUTBOARD 1971 1972 1973 1974 1975 1976 1977 1978 1979 1980 1981 1982 1983 1984 1985 1986 1987 1988 1989 IGNITION, JOHNSON EVINRUDE 60 HP OUTBOARD 1971 1972 1973 1974 1975 1976 1977 1978 1979 1980 1981 1982 1983 1984 1985 1986 1987 1988 1989 TIMING AND SYNCHRONIZING, JOHNSON EVINRUDE 60 HP OUTBOARD 1971 1972 1973 1974 1975 1976 1977 1978 1979 1980 1981 1982 1983 1984 1985 1986 1987 1988 1989 ELECTRICAL, JOHNSON EVINRUDE 60 HP OUTBOARD 1971 1972 1973 1974 1975 1976 1977 1978 1979 1980 1981 1982 1983 1984 1985 1986 1987 1988 1989 POWERHEAD, JOHNSON EVINRUDE 60 HP OUTBOARD 1971 1972 1973 1974 1975 1976 1977 1978 1979 1980 1981 1982 1983 1984 1985 1986 1987 1988 1989 LOWER UNIT, JOHNSON EVINRUDE 60 HP OUTBOARD 1971 1972 1973 1974 1975 1976 1977 1978 1979 1980 1981 1982 1983 1984 1985 1986 1987 1988 1989 TRIM, JOHNSON EVINRUDE 60 HP OUTBOARD 1971 1972 1973 1974 1975 1976 1977 1978 1979 1980 1981 1982 1983 1984 1985 1986 1987 1988 1989 TILT, JOHNSON EVINRUDE 60 HP OUTBOARD 1971 1972 1973 1974 1975 1976 1977 1978 1979 1980 1981 1982 1983 1984 1985 1986 1987 1988 1989 REMOTE CONTROLS, JOHNSON EVINRUDE 60 HP OUTBOARD 1971 1972 1973 1974 1975 1976 1977 1978 1979 1980 1981 1982 1983 1984 1985 1986 1987 1988 1989 HAND REWIND STARTER, JOHNSON EVINRUDE 60 HP OUTBOARD 1971 1972 1973 1974 1975 1976 1977 1978 1979 1980 1981 1982 1983 1984 1985 1986 1987 1988 1989 WATER PUMP CHECK, JOHNSON EVINRUDE 60 HP OUTBOARD 1971 1972 1973 1974 1975 1976 1977 1978 1979 1980 1981 1982 1983 1984 1985 1986 1987 1988 1989 Cooling System, JOHNSON EVINRUDE 60 HP OUTBOARD 1971 1972 1973 1974 1975 1976 1977 1978 1979 1980 1981 1982 1983 1984 1985 1986 1987 1988 1989 Engine Specifications, JOHNSON EVINRUDE 60 HP OUTBOARD 1971 1972 1973 1974 1975 1976 1977 1978 1979 1980 1981 1982 1983 1984 1985 1986 1987 1988 1989 Drive Shaft, JOHNSON EVINRUDE 60 HP OUTBOARD 1971 1972 1973 1974 1975 1976 1977 1978 1979 1980 1981 1982 1983 1984 1985 1986 1987 1988 1989 Fuel System, JOHNSON EVINRUDE 60 HP OUTBOARD 1971 1972 1973 1974 1975 1976 1977 1978 1979 1980 1981 1982 1983 1984 1985 1986 1987 1988 1989 Ignition, JOHNSON EVINRUDE 60 HP OUTBOARD 1971 1972 1973 1974 1975 1976 1977 1978 1979 1980 1981 1982 1983 1984 1985 1986 1987 1988 1989 Electrical Systems, JOHNSON EVINRUDE 60 HP OUTBOARD 1971 1972 1973 1974 1975 1976 1977 1978 1979 1980 1981 1982 1983 1984 1985 1986 1987 1988 1989 Gear Case, JOHNSON EVINRUDE 60 HP OUTBOARD 1971 1972 1973 1974 1975 1976 1977 1978 1979 1980 1981 1982 1983 1984 1985 1986 1987 1988 1989 Storage/Winterize, JOHNSON EVINRUDE 60 HP OUTBOARD 1971 1972 1973 1974 1975 1976 1977 1978 1979 1980 1981 1982 1983 1984 1985 1986 1987 1988 1989 Timing, JOHNSON EVINRUDE 60 HP OUTBOARD 1971 1972 1973 1974 1975 1976 1977 1978 1979 1980 1981 1982 1983 1984 1985 1986 1987 1988 1989 Trim, JOHNSON EVINRUDE 60 HP OUTBOARD 1971 1972 1973 1974 1975 1976 1977 1978 1979 1980 1981 1982 1983 1984 1985 1986 1987 1988 1989 Tilt, JOHNSON EVINRUDE 60 HP OUTBOARD 1971 1972 1973 1974 1975 1976 1977 1978 1979 1980 1981 1982 1983 1984 1985 1986 1987 1988 1989 Torque Specifications, JOHNSON EVINRUDE 60 HP OUTBOARD 1971 1972 1973 1974 1975 1976 1977 1978 1979 1980 1981 1982 1983 1984 1985 1986 1987 1988 1989 Tune-Up.